It's Easy! to manage Reservation, Billing, Purchase, Accounts & Inventory with our EPOS Software. Awaiting for a Epos solution you can believe on and a partner that genuinely understands the demands of your hospitality business? Victory Visions has provided quality EPOS software , and are suitable for both large and small scale operations, and make better business decisions and deliver great hospitality, profitably. 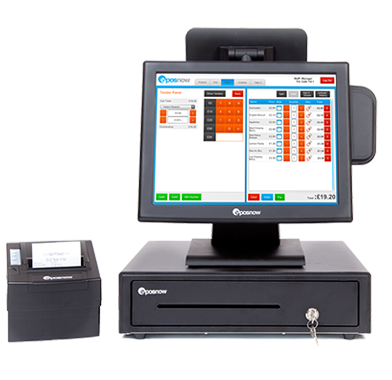 Our point of sale software is Simple and easy user interface. Our EPOS software create separate functionality modules for stock control, labour management, loyalty and gift cards, table reservations, guest management, tableside ordering and mobile payment systems, EPOS systems also have the ability to track table status, relay the time that tables are left unseated, maximize seating efficiency. Our Epos software manages all areas of your organization including point of sale, sales back office, inventory management, employee payroll, accounting, customer CRM more, in a single integrated system. We support online ordering enhanced with real time delivery tracking, Technical support is provided from initial set-up and training through to all daily operations. We approach each custom POS software project in a careful and detailed manner. We strictly follow a set of steps, which begin with project analysis and specifying software requirements. Victory Visions offers outsourcing services by providing dedicated remote software developers for long-term cooperation and provide full software development support for many years!